The Election Commission of India officially ushered in the first elections of 2018 on Thursday and announced the election dates for three northeastern states — Meghalaya, Tripura and Nagaland. Addressing the media in New Delhi, Chief Election Commissioner AK Joti said that the Model Code of Conduct has kicked in from today (18 January). The elections in all the three states will be conducted in a single phase. 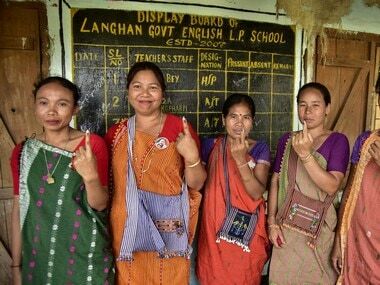 Elections in Tripura will be held on 18 February, 2018 which is a Sunday, while Meghalaya and Nagaland will vote on the 27, which happens to be Tuesday. 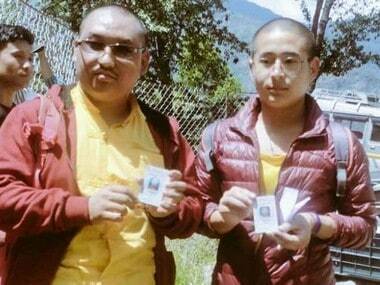 Joti further said that counting of votes and results for the all three states will be declared on 3 March, a Saturday. 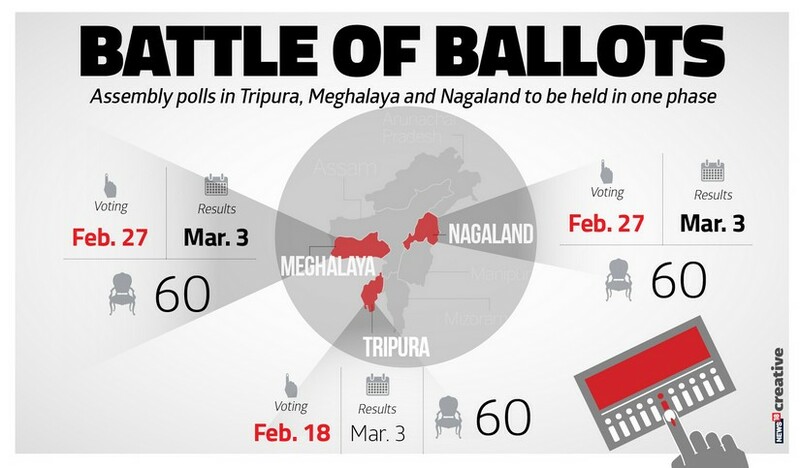 Meghalaya, Nagaland, Tripura have 60 seats each. Tripura has to elect a new Assembly by 6 March. The terms of the Meghalaya and Nagaland Assemblies end on 13 and 14 March respectively. "Model code of conduct comes into effect from today," Chief Election Commissioner AK Joti said, adding that "EVM (electronic voting machine) and VVPAT (Voter Verifiable Paper Audit Trail) will be used in all three states, first level checks have been completed." For the last 20 years, only EVMs have been used, Joti added. It is a Congress government in Meghalaya, while CPI(M) is the ruling party in Tripura since 1993. In last couple of years, BJP has been trying to gain more ground in northeastern states ever since its spectacular win in Assam and has been able to form government in Assam, Nagaland, Manipur, Arunachal Pradesh and Sikkim. 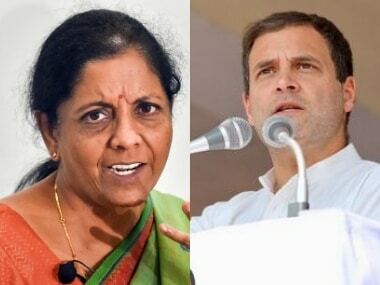 The BJP and Congress will try their best to consolidate their positions in the Assemblies, with currently just seven and two seats respectively. 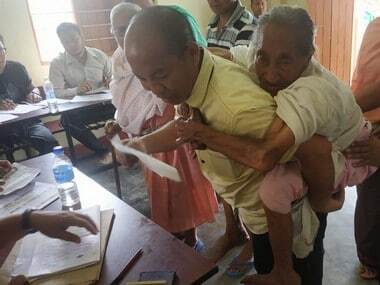 The Naga People's Front is at the helm of the 60-member Nagaland Assembly. The BJP won four seats while the JD(U) bagged one in the last election, reports have said. Apart from these three states, elections in Karnataka, Mizoram, Chhattisgarh, Madhya Pradesh and Rajasthan will be held later this year.